The smartest, sharpest, & most elegant outfit for your evening event. 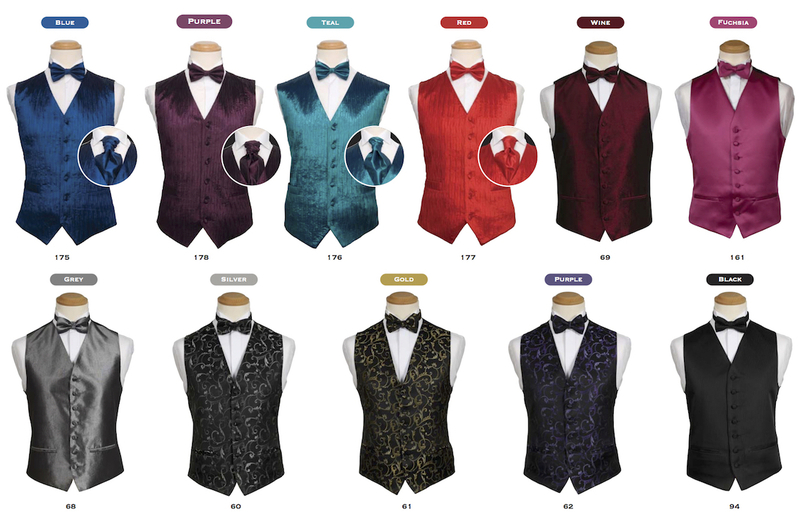 We have a range of evening wear for men & boys to have them looking at their best for that special occasion. While traditionally a dinner suit would be worn with a black bow tie & cummerbund, these days the outfit can be accessorised with a splash of colour. 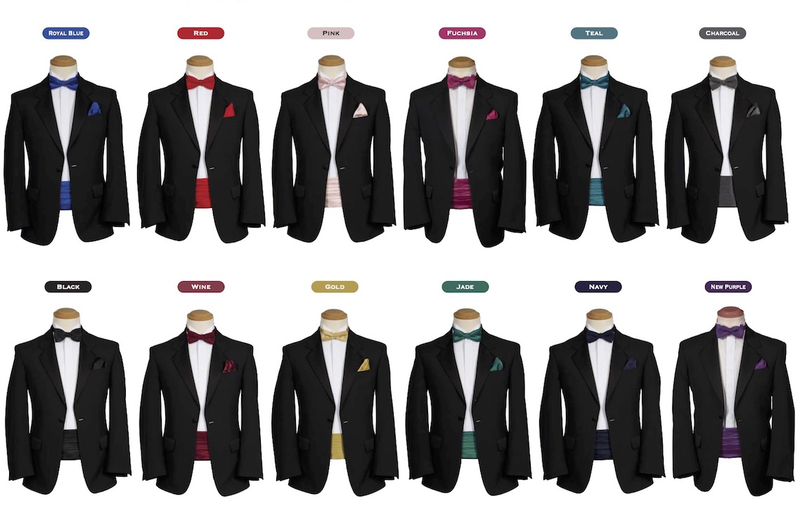 Here are some examples of bow tie & cummerbund colours. 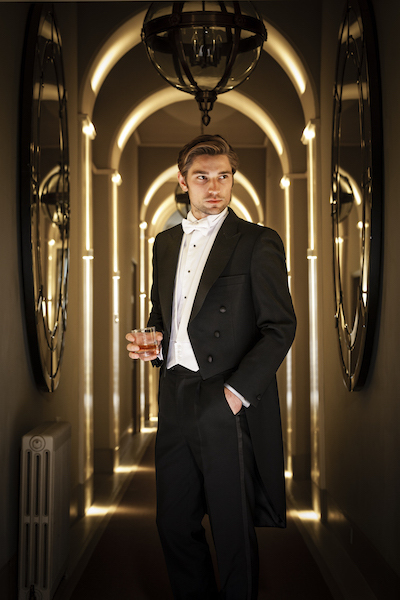 White Tie / Evening Tails is available for those occasions that require it.